Spring has sprung and heavy rains are on the way. This time of year is notorious for causing water damage for unsuspecting homeowners. 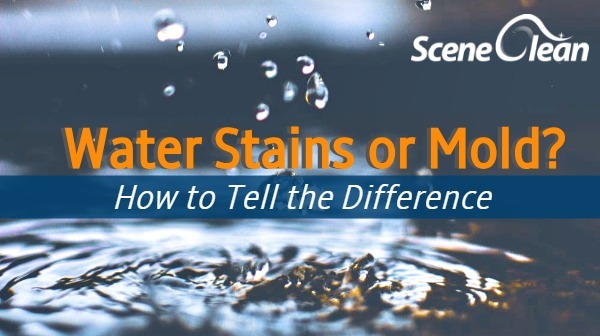 If you’ve found some water staining or what appears to be mold, you’ll want to read the information below. You’ve found some suspicious stains or what is known as “discoloration.” You’ll need to give some thought to the area in which the damage was found. There are questions you may ask yourself to determine if the area provides a suitable environment for mold to grow. 1. What is the area’s typical condition? Factors such as temperature, moisture, and a nutrient source all play a role in determining if an environment is likely to enable microbial growth. Water leaks, floods, high humidity, and poor ventilation can lead to a mold infestation. Mold growth tends to follow an on-going water leak or water condensation issue. For these reasons, basements are notorious for mold problems. 2. Is the damaged material biodegradable and does it appear to be wet? Water damaged drywall, wood, wallpaper, and cardboard are likely to become a breeding ground for mold when damp. 3. Do you smell that? Both active and inactive mold can produce a musty or earthy scent. It is often that homeowners notice this smell before they see signs of damage. Typically, a “musty” scent or visible discoloration on ceilings, walls, or valuables are the first signs that a mold problem may exist in your home. There is a wide variety of mold species. You should have the affected area tested by a professional. We highly recommend Cheryl Eckard Environmental Services who can perform a tape-lift test of a visibly affected area as well as air sample testing. It is important to hire a professional to inspect the damage as attempting to clean or remove the material will cause mold spores to become airborne. Airborne mold infestation will call for a much more in-depth remediation. Blue, green, yellow, grey, black, white, and other similar shades. *It is important to note that not all mold that appears black in color is “black mold” (i.e. : Stachybotrys). Though it is possible for one dominant mold to infest an area, it is typical for different groups of mold to grow together, resulting in a multicolored appearance. Colonization of mold may appear splotchy and can be concentrated in one area or spread out. Color in combination with texture is a clear indicator of microbial growth. Water stains are an indication of a water problem and hence the possibility of mold growth. Unfortunately, not all water damage is visible. 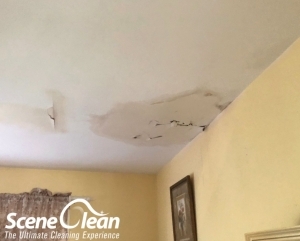 Water damage can hide within walls, beneath floors, and in ceilings. Evidence of small, on going leaks may not be visible until mold has begun growing. Irregular stains may be an indication of mold growth. Some molds stain the surface on which the mold is growing, which leaves a black or blue-black colored stain. Mold growth will cause further damage to the material it is growing on. Before you drive yourself crazy assuming that every abnormal stain on your basement floor is a colony of mold, you should learn about efflorescence. If your basement is unfinished or half finished, it is likely that you have a concrete floor. Salts and minerals exuding out of concrete basement floors or walls will form a white, powder-like substance called efflorescence. Visually distinguishing between mold and efflorescence can be difficult. Where there is efflorescence there is a water problem, which means there is a chance of mold growth, too. If the materials dissolves it is not mold. If you find what appears to be efflorescence in your home you should search for signs of water damage. If you seen any of the above-mentioned signs, give us a call and schedule an inspection right away. Mold Removal is NOT a DIY Project! Always get expert help when it comes to mold damage. Using chemicals such as bleach could cause more microbial growth. Trying to remove it yourself may cause an existing infestation to become airborne. When it comes to finding mold damage services near Frederick, MD or Walkersville MD, Scene Clean has your back. We have 9 years of experience in restoring homes with mold damage in the Frederick area. We can provide nearly all of your home service needs with our handyman repairs, emergency services, and more. 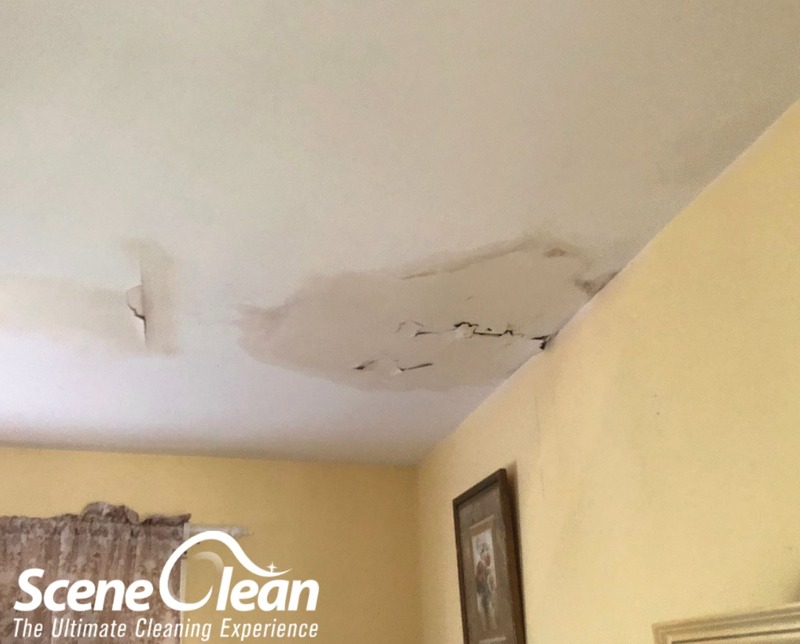 When spring showers bring more than May flowers, keep us in mind for our water cleanup & restoration services before a mold infestation forms. We’ll be there when you need us.